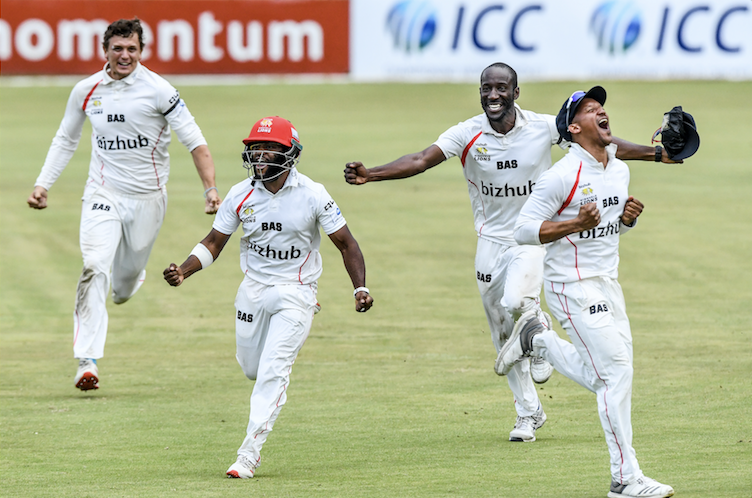 The Highveld Lions dramatically came from behind in a season dominated by the Cape Cobras, snapping up four wickets in the last 20 overs of their match against the Warriors to clinch the 4-Day Franchise Series with just nine balls of the season remaining. 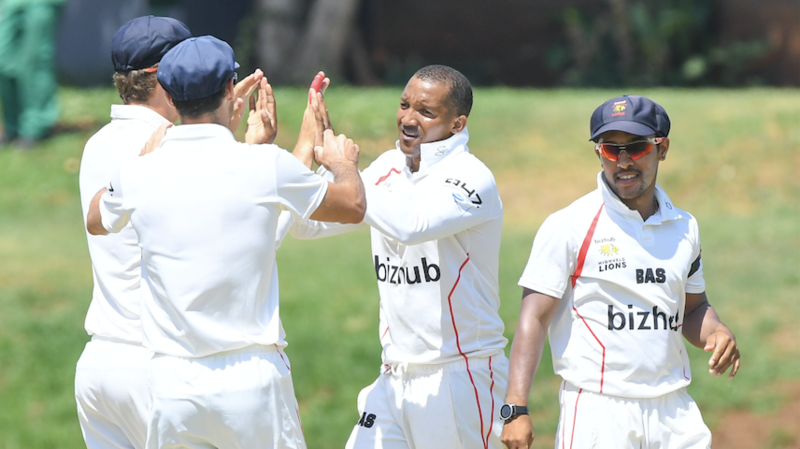 The Highveld Lions are the 2018/19 4-Day Domestic Series champions after Nandre Burger and Malusi Siboto shared seven wickets to help them claim a dramatic 84-run win over the Warriors deep on the last day of their season finale in Potchefstroom on Thursday. With the log-leading Cape Cobras having concluded their round 10 fixture earlier in the day – a drawn match with the Dolphins in Pietermaritzburg – only victory was an option for Enoch Nkwe’s side. 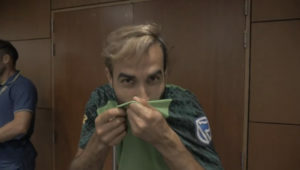 And they defied the odds to do exactly that and overhaul the Cape Town side, who had led the standings for almost the entire season. The visitors suffered a double blow early on after Siboto (3-40) dismissed openers Eddie Moore (3) and Matthew Breetzke (9) with only 18 on the board. Burger (4-72) then began his work by removing both set men, the latter for an innings top-score of 74 (125 balls, 7×4) that left the Warriors on 155 for five. Rain intervened at that point meaning that five overs were lost, but upon the resumption, Nono Pongolo (2-36) got Sisanda Magala (13) and Glenton Stuurman (4) either side of Burger dismissing Marco Marais (22) and then Basheer Walters (22). Thomas Kaber did his best to save the game with an unbeaten 23 off 96 balls, but when Wihan Lubbe cleaned up Sithembile Langa for eight with his third delivery, the Lions were champions. The Dolphins managed to bat out the entire final day to draw their CSA 4-Day Franchise Series encounter with the Cape Cobras in Pietermaritzburg on Thursday. It was going to be a big day for the hosts if they were to bat out for a morale- boosting draw. From the outset, the side looked to be in control as the openers Michael Erlank and Vaughn van Jaarsveld went unscathed for 21 overs at the start of the day. Having put on their second consecutive century stand in the match, it was Van Jaarsveld who fell first for 79, to go with his 120 that he made in the first innings – the Dolphins were 169 for one. Erlank then went to his second consecutive half-century in only his second match for the franchise. He was bowled by Dane Piedt in the following over for a well-played 85 from 147 balls. At this stage, the Dolphins were 169 for two and trailing the Cobras by 44 runs when Marques Ackerman and captain Khaya Zondo came to the crease. The rest of the day belonged to the pair, who scored quickly throughout their innings as they erased the deficit and tried to put on a score that they might have been able to bowl at in the afternoon. However, that wasn’t the case and the game was called a draw. Ackerman continued his rich vein of form as he brought up his fourth score of 50 or more in just his fourth game for the franchise. The left-hander finished on 89 not out off 128 balls which included 12 boundaries. Captain Zondo was also in good form, notching up his 26th first-class fifty. He also ended unbeaten on 88 off 137 balls with 11 boundaries. Their partnership for the third wicket was worth 189 at a rate of four runs to the over and enabled the Dolphins to finish the day on 358 for two. Following their draw, the Dolphins finished the 4-Day Franchise Series in fifth place. The focus now shifts to the 50-over format, with the CSA One-Day Cup starting for the Dolphins on Saturday 9 February in a clash with the Highveld Lions at the Pietermaritzburg Oval. The Titans and Knights were put out of their misery early on the final day of their 4-Day Domestic Series clash after the match was abandoned due to a wet outfield at Willowmoore Park in Benoni on Thursday. All three previous days were also affected for the same reason, with the players of both sides left frustrated by the underfoot conditions in what was their last match of the first-class campaign. The final day decision by umpires Abdoellah Steenkamp and Johan Cloete meant there was no game at all after all three previous days had to be abandoned – the main problem area being the bowlers’ run-up area. The shared points from the game meant the hosts and defending champions, the Titans, as well as the Knights, both ended in the bottom three of the league table.